Hipsters and dads love moustaches. 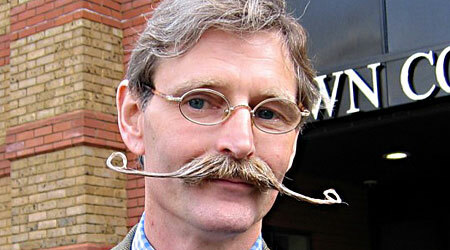 And so do the ladies, but we don't like wily whiskers, so make sure you keep that 'stache tamed. A good solution? Moustache wax! This stiff pomade keeps hairs in place looking healthy and groomed even after that fourth pint. You can get real creative with this stuff, like this dude. Basaraba is a local product produced right here in Edmonton made from all-natural ingredients including beeswax and coconut oil. Available exclusively at Love Hair. Mustache wax??!! Never heard of it but totally love it.